Stay sharp like the Stormtroopers with these premium Star Wars Stormtrooper Black and Gold Cufflinks. 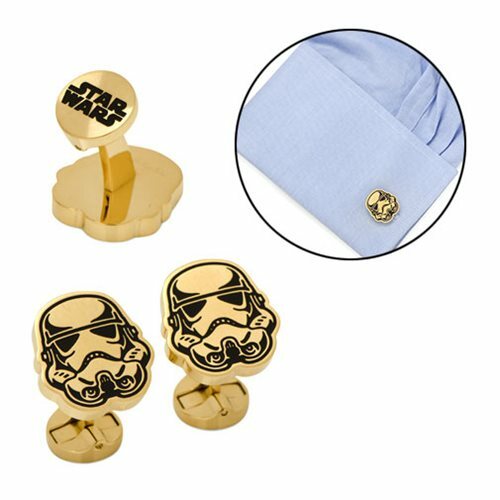 Displaying the iconic helmet of a Stormtrooper, these cufflinks have a round swivel closure with the Star Wars logo. These are made with black and gold stainless steel and measure approximately 3/4-inches tall x 11/16-inches wide.